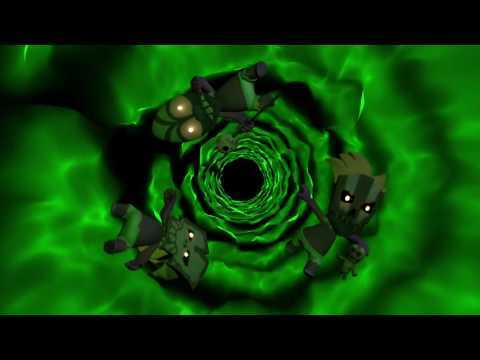 Full Mojo Rampage coming to Xbox One and Playstation 4! Very happy to announce that Full Mojo Rampage will hit PS4 and Xbox One on June 28th! In the last months we have been working with Nicalis to bring FMR to Xbox One and Playstation 4. We have made a number of improvements to the game and added a new game mode called “Endless”. In Endless mode you can play through an unlimited number of randomly generated dungeons with increased difficulty. Before each level you will be able to “roll the dice” to decide the type of level you will have to face. Each roll can provide bonuses that will make your progress easier or… drawbacks that will make things much harder. We found this new mode highly enjoyable since the roll and reroll mechanics at the beginning of each level really randomizes the experience. Today we release Version 1.0 of Full Mojo Rampage! Thanks to everyone that has helped us in making this real! Keep an eye on our Steam forums, we have a great community there and is a good way to find other players to play. Leave us some feedback and send your comments if you enjoy the game! Blessings, Survival Unlimited and tons of mojos added! We just uploaded a new update with several improvements and tweaks. – New Survival Unlimited mode: this mode lets you play a new version of the survival game mode, but with unlimited hordes. We added leaderboards to keep track of your records. Lets see how far can we go. – Blessings: when you reach level 5 you can now buy “blessings” before starting a game. Blessings are expensive, but provide good advantages. They are only valid for the current quest you are playing. Blessings can be very helpful for the harder difficulty modes. – New mojos: We added a lot of new mojos with several new properties and effects. Many surprises! – Borderless window now supported. – New map events added. – New easter egg masks added. A challenge of madness! Now with local coop support! This is a big update! we have a lot of new content and we are excited to tell you about all the things in this new Alpha 6. – A Challenge of Madness: in this new quest the 3 loas from previous quests challenge you to a series of levels with a twist: you will have to play under the effects of random curses. – Daily Quest: the daily quest is randomly generated every day. After finishing it your time will be submitted to our leaderboards and you can compare your run to other players. – Difficulty levels: after finishing a quest you can replay it at harder difficulty levels. Warning: higher difficulty levels are impossible 😉 In the upcoming update we will make tweaks to this, but we think this is a good start and a fair challenge for worthy voodoo followers. Lots of improvements on this new alpha! We have been working on a new quest called “A Dangerous Dream” and at the same time we have tweaked a bit here and a bit there! In the new quest, once you find Damballah’s shrine, you have two options: face the boss, the “Great Uru” right away, or go for his acolytes to reduce his power. We are curious if anyone manages to defeat the boss without the need of doing the side quests. Let us know how this goes! We are proud to announce that the new alpha is ready and its full of new content! Alpha 3 introduces a new quest called “A Rebel Loa”: one of Maddam Brigitte’s shrines has been destroyed and she is mad! Who dares doing this to her? For the restoration spell that she will cast on the shrine, she wants you to collect some relics and ingredients. Help her and gain Brigitte’s favor. She will be a powerful ally on your side! 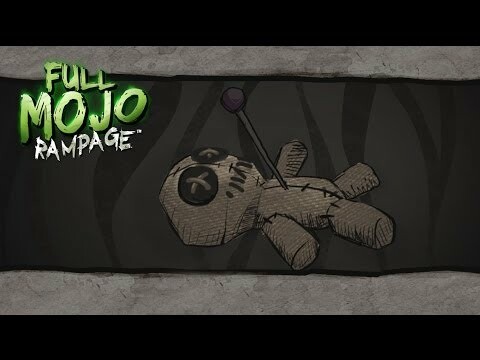 This update includes several new mojos, voodoo pins and a secret new mask. The new quest also has 2 new bosses. They are harder and bigger than Mandingo, so be careful! Hi everyone, last week we published Full Mojo Rampage on the Early Access section of Steam. The uploaded version has updates from the previous Alpha. The Steam store page has some extra information about the game. Characters can now level up and increase stats. Pins can now be upgraded. Difficulty has been tweaked. Health and damage of enemies have changed. Too easy? too hard? Masochist mode added. Once you finish the first quest, you can play it again in masochist mode. Very hard. Medals can now be used to unlock masks. Gamepad support added for most of the game. Only the character customization screen must be controlled with mouse. The voice you hear is from our friend Alistair Lindsay (Rare, Microsoft, Introversion) who is helping us with the music and sound fx of the game. Big thanks to him and to our friends from Insert Coin Movie that gave us footage they recorded for their videogame documentary. We also updated the pre-order page with some fundraising tiers for those that want to give extra support to our team. Check them out and pledge for the one that is more interesting for you. If you play the game, please join our forums as we want to hear your opinion and be able to improve the game as much as possible. Full Mojo Rampage playable at Rezzed! We wanted to update you about the current development of Full Mojo Rampage. 1. Some delays, but don’t worry… Alpha is closer! Our initial intention was to release the first alpha in April, but with the last changes we will need a few more weeks to enter open alpha. 2. Classes… or sort of! In this update we will discuss the latest developments of the game made in these past weeks. We have been working on things that are needed for the first pre-alpha and which will be available for all the people who will have pre purchased Full Mojo Rampage (Thank You! ).